Ceramic fiber blankets are refractory mats made up of high quality refractory material used in several applications like Furnace repair, insulation and thermal based applications. The biggest plus point of the fiber blanket is that it can withstand high temperatures and it is lightweight. The Ceramic fibred blankets are available in a range of densities and thicknesses. The blanket is manufactured using high spun ceramic fibers which have high strength and can withstand thermal shocks of high resistance. Another advantage of the ceramic fiber blanket is that it is made up of inorganic materials which are smoke free. The blanket which is made up of pure material is known as Alumina –silica ceramic fiber blanket. And in a variety of other industrial applications which require high temperatures and pressures. Ceramic fiber blankets are available as strips of several meters width as well as in custom made cuts and shapes according to the client’s requirements. 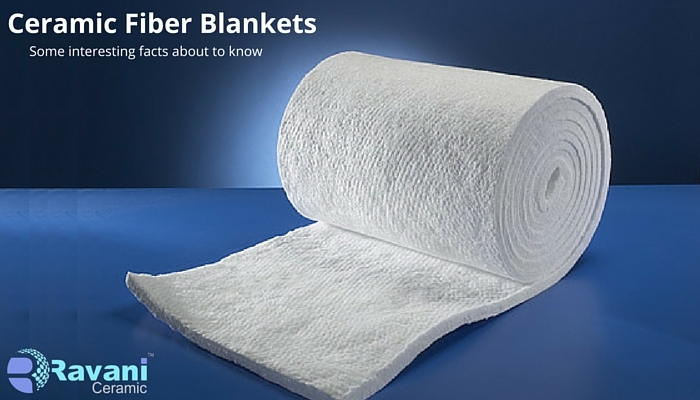 The Ceramic fiber blanket is made up of inorganic materials which make it literally smoke free. What are the qualities of the ceramic blanket which makes it highly useful in Industries? The Ceramic air blanket has a high insulation value and offers excellent quality of sound absorption and fire insulation. Due to these properties, it is widely used in furnaces, kilns, generators and industries which use high temperatures and pressures.